So he is no more than a common mortal! Now, too, he will tread under foot all the rights of Man, indulge only his ambition; now he will think himself superior to all men, become a tyrant! In fact, this is music so groundbreaking and cosmic that even a figure as ambitious as Napoleon pales in comparison. 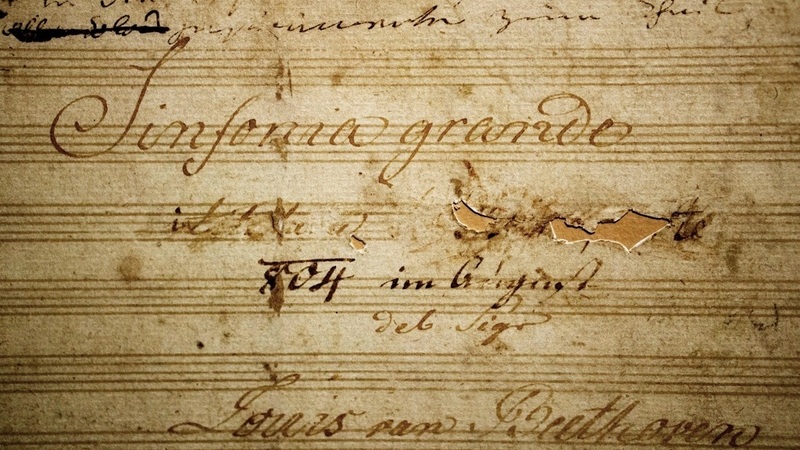 The “Eroica” transformed the symphony to an entirely new scale and dramatic weight. Its jarring dissonances and off-center rhythm still feel “modern,” and seem to anticipate the discordant sounds of the twentieth century. There are strange moments of haunting mystery, such as the “false” horn entrance in the first movement. Leonard Bernstein, the last century’s consummate music educator and passionate cheerleader, provides us with a fascinating analysis of Beethoven’s “Eroica.” He discusses the first movement’s displaced accents, which frequently tear apart the underlying feeling of three, and the way the music develops with a sense of inevitability from a supremely simple musical idea. He outlines the drama of the second movement, in which a sombre funeral march is interrupted by a heroically transformative fugue. He points out the intense, quiet, pent-up energy of the Scherzo, which suddenly explodes with full fury. He shows how a simple, tip-toeing, even “trivial” motive in the final movement provides the foundation for a vast array of adventurous variations. view/s re Napoleon’s future behaviour. LvB knew his ‘customer’s’, and How!! this Centennial Celebratory Year of Leonard Bernstein’s Birth, as is said just a bit “across the pond”, Carry on, ole’ chap!! !